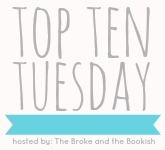 This week's Top Ten Tuesday prompt wants to know what are our favorite books we've read before becoming a blogger. A few books stood out for me in my younger years, while others I fell in love with within the last five years. My passion for reading is still somewhat new in my world, but I can't imagine my life now without books in it - crazy how that happens, huh? So here are the books, that I consider favorites, which I read before I created GReads! 1. The Outsiders by S.E. Hinton - I have vivid memories of reading this novel in my 8th grade Language Arts class. I remember being really engaged in the discussions we had during class about it, and being discouraged when the bell would ring, signaling the end of class. It's these memories that I hold close as I'm venturing in to becoming a Language Arts teacher myself. 2. The Great Gatsby by F. Scott Fitzgerald - Another novel I remember reading in school that sparked an interest in books for me, but sadly didn't stick around long. Though I loved it then, for whatever I didn't enjoy reading again until my late 20s. 3. Twilight by Stephenie Meyer - I am not ashamed to admit that it was this novel that brought me back to reading and opened me up to today's young adult lit world. It reintroduced me to books and brought back those feelings of how engaging reading can be. 4. The Hunger Games by Suzanne Collins - I read The Hunger Games and Catching Fire a few months before Mockingjay was published. A friend told me this was a series I would love and she was right! I'm glad I didn't discover them until the final installment was just about to be published because that wait would have killed me!! 5. Hush, Hush by Becca Fitzpatrick - I put this book on my list because it's the first author signing I went to before my blogging days. I had no idea what to expect, but I enjoyed reading Becca Fitzpatrick's first novel in this series so much that I wanted to meet her. The funny thing is, I found out over a year later that some of my closest blogging friends were at the same signing, we just didn't know each other yet. 6. City of Bones by Cassandra Clare - Are you seeing a trend here? I was very drawn to the YA paranormal series, haha. This story is still among my favorites! I loved the world Clare created and could not get enough of Jace and Clary. Though the series is still continuing now, I still consider City of Glass to be the ending in my mind. The story has evolved into something else I am not too sure about. 7. Two-way Street by Lauren Barnholdt - I read this book just before I began blogging and it's probably my first memory of a current YA contemporary that I loved so much. I think I went back and read it twice, actually. It caused me to seek out more contemporary authors, which we all know is my absolute favorite genre now. 8. Shiver by Maggie Stiefvater - I think Amazon recommended this book to me after I read Twilight. I loved it because it had the paranormal elements I was really into at the time, but it also captured that sweet romantic story I adored so much, too. I still recommend this series to readers who are contemporary fans, but are curious about YA paranormal reads. 9. Perfect Chemistry by Simone Elkeles - Hello swoony YA! I remember reading this book and loving it so much because it was addicting and intense. There are so many books out there today that are similar to Elkeles' writing and storylines, but at the time I don't remember finding much to compare it to. 10. Amy & Roger's Epic Detour by Morgan Matson - This book was only a few months old when I first picked it up, and soon after I created my book blog and it became one of my first reviews to write. Oh this book! I keep saying I am going to do a re-read & then for whatever reason it doesn't happen. I so want to revisit this road trip though. I read the Great Gatsby before I was a blogger too... actually LONG before I was a blogger. hahah! I love that book ! Here is my list: Top Ten Tuesday. I was blogging in Multiply in 2008 and Twilight was the first series (followed by Vampire Academy and Sookie Stackhouse) I was reading back then. I was not into series when I was younger, I didn't like waiting lol. For Some Reason If I had to read a book for school it would become a MILLION times less interesting to me.. I really should re-read some of those books, like The Outsiders. Yay to so many of these! I can't believe you hadn't started blogging yet when Amy & Roger came out. Seems like yesterday! Twilight was the first ever YA I read and it sparked my interest for the Genre. The Great Gatsby! I really want to get that book, but I don't want to spend 15$ on it. I completely forgot about the Hunger Games, I don't how that happened. I totally forgot about the Outsiders. Sodapop! You were definitely all about the YA paranormal before blogging--all I knew was Twilight. I adored Amy and Roger. It's such a brilliant book. I just got a copy of Two-Way Street, and seeing it on your list has me excited to start reading it! Great list! Still need to read City of Bones. Shame on me. I'm really excited for the movie, and everytime I watch the trailer I itch to start the book, but there are so many others I have to finish and start as well. Ugh I hate TBR lists (but still love them at the same time!). Great list! I actually reviewed Amy and Roger's Epic Detour on my blog today. I had wanted to read it forever and then I saw it in someone's TTT list a few weeks and finally picked it up. Such a good book, I'm mad I waited so long! I'm not ashamed about Twilight either. I remember participating in the Twilight re-readalong that you guys had and that was when I was pretty new to blogging. I appreciated that so much because that helped me get over some of the weirdo fears I had about moving from my (defunct) Tumblr to a real blog and I started making some friends in the reading community, which really is the best community in the world. Spread the Gatsby love! 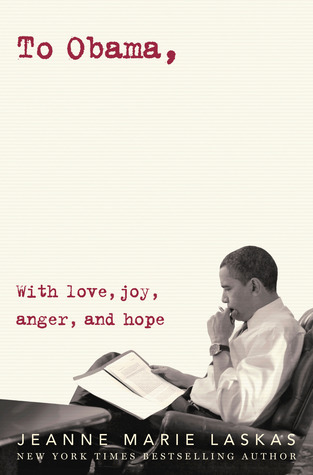 Such an incredible book & it's one I revisit over and over again. The Outsiders is another favorite of mine. :) Remember the good ol' days of AIM? I had an Outsiders-related screen name at one point. First - we need to talk about your ridiculously cute graphics. I can't even deal. And also, ain't no shame in that Twilight game. My best friend and I were talking about Twilight. We both read the series! : ) We claim it was out gateway book into reading again! lol We were readers before Twilight, but we were always drawn to the classics because that's what we read when we were in school. Twilight introduced into the world of YA! Now we can't get enough! Love your list! Thanks for sharing! Oh yes, The Hunger Games! I really have to re-read that series again. I should read The Great Gatsby. It's equal parts "hearing good things about it from my friends" and "oh hey that movie is coming out soon."